With huge swells, strong winds and an emerald coastline dotted with perfect surfing spots, Cape Verde (Cabo Verde) is lauded by some as the hottest surfing destination. Located in the Atlantic Ocean, this archipelago of 10 islands is just 350 miles off the coast of Western Africa, but it’s worlds apart. Featuring volcanic terrain and long, sweeping sandy beaches, the Cape Verde islands are blessed with tons of wind and undiscovered beaches. Slowly gaining a reputation for its waves and wind, these islands finally got the attention they deserved after the launch of the annual Cabo Verde Wave Championships in 2007. Having created rippling waves in the surf scene, the islands have their new ambassador to thank: Josh Angulo, a Hawaiian surfing champion who has introduced the world to Cape Verde. 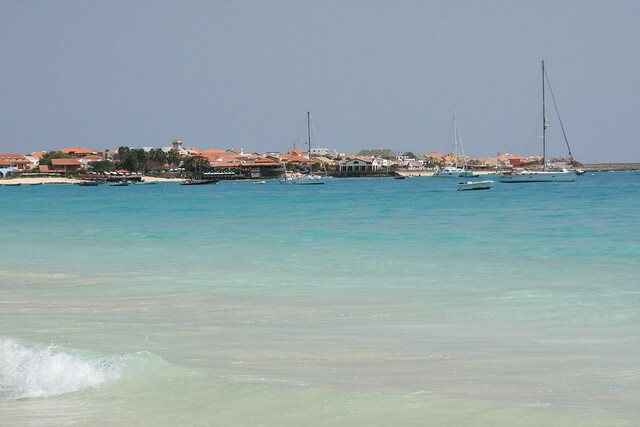 It was Cape Verde’s raw beauty, winds and alluring ocean that brought him here. Since calling it home, Josh has played an integral role in promoting the destination via his worldwide connections with brands and media. He now runs the nation’s leading windsurfing center, Angulo Cabo Verde, which offers a variety of surfing lessons and stand up paddleboard (SUP) classes for people of all levels. Surfing spots are scattered all over the islands. On the east coast of Sal, Sierra Negra offers some easy free-riding sessions far away from civilization. The Cabessa de Salinas (Kite Beach) provides powerful swells suitable for expert surfers, but it’s located just in front of a reef so be careful especially at low tide. On the west coast, swells can get dangerously huge – particularly at Ponta Preta and Ali Baba. In the south, the bay of Santa Maria has the safest spots for beginners: try Ponta Lema with the easiest wave. Cool off from the adrenaline by exploring the islands’ attractions and cultural heritage: visit the salt flats of Pedra de Lume on the island of Sal, the old capital of Cidade Velha and Forte Real de São Filipe on Santiago, go whale-watching around Boa Vista and enjoy the pulsating nightlife of Mindelo on São Vicente. If you’re looking for more adventure, there is a plethora of activities on offer, such as off-road buggy rides, quad bikes, sailing, scuba-diving and trekking along volcanic terrain. This post is adapted from one that originally ran on our blog PassportToIberostar.